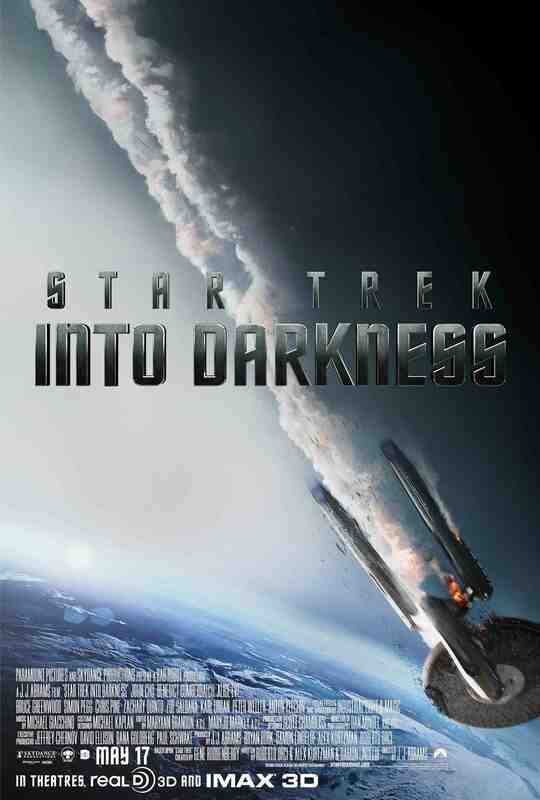 I went “Into Darkness” today and trekked where about 30 million others will: to see the new J.J. Abrams (Lost) Star Trek movie. For those who saw his first shot at this storied franchise, you already know he made one of those space-time-continuum swerves that allows him to cut his own path across the galaxy. A great move that Jim Kirk (Chris Pine of Unstoppable) would be proud of, and then he goes and flips the flipped script and dives right back into the di-lithium core of Star Trek lore – Khan. That’s right, they are up against Khan (Benedict Cumberbatch of War Horse) this time, again. A character who cuts across the original television series and the best of the Shatner movies, Khan’s backstory has always been murky. To complete the paradox, we all know this “time” anything can happen. By the way, if you don’t know who William Shatner (Star Trek 1966) is they will not let you in the theater. I could go into the plot, which is well laid out, but is basically: “get Khan.” Abrams shows he belongs in this medium and this franchise. While he gives us plenty of action, he keeps these characters as individuals and deepens the dynamic between them. Now, he must do all that in the three calm minutes they have between each major action set piece. The trio of Kirk, Spock (Zachary Quinto of Margin Call) and Bones (Karl Urban of Dredd) pushes each other’s buttons, and they also second-guess themselves – which is really tough for a Vulcan, but trust me, he does. The supporting folks are all great, with Uhura (Zoe Saldana of Avatar) and Scotty (Simon Pegg of Shaun of the Dead) as standouts. I’m gushing, I know, but I am a fan and it was a fun movie. I like getting to know all the old characters again, and Abrams is wise to sprinkle plenty of the old into the new. In this Millennium, Star Trek is listed as “Action, Adventure and Sci-Fi,” with Sci-Fi bringing up the rear. Roddenberry (Star Trek – 1966) always tried to put Sci-Fi first, and we see what that got him – cancelled after three years. He had to pitch the show as cowboys and Indians in space to get it on the air. Maybe that is why even with the most advanced weapons, they spend much of their time in fistfights. There is never a phaser when you need one, and the transporter will not work when it would solve the whole problem. I do want more moral dilemmas, more of the comparisons of the human condition and spirit against other species. Maybe that will come in the future, but for now it’s enough that they got the eyebrows right, and they deserve something for their tribble. So I raise my eyebrows to Abrams and “Star Trek Into Darkness” by giving it 4 out of 5 stars. May the series live long and prosper. Tom Basham is an indy filmmaker.